The Public Records Unit (PRU) processes requests from the public for various departmental records, with the exception of collision (accident) reports, photographs, and citations/warnings/repair orders, which are processed by the Department Records Unit. All requests for public records should be submitted in writing or online. Pursuant to A.R.S. 39-121.03, when requests for copies, printouts or photographs of public records are for a commercial purpose, the requestor shall provide a statement setting forth the commercial purpose for which the copies, printouts or photographs will be used. Once the requested reports are received and processed, an invoice will be sent to the requestor via USPS mail, fax, or e-mail. Requests are processed in the order they are received. Please allow 15 to 20 business days for your request to be processed. Please do not call to check the status until at least 20 days after your request was submitted. Some records may take longer than others to process; for example, archived reports prior to 2001, active investigations, and requests that involve large amounts of data, video, and/or audio. In accordance with ARS § 39-121, public records may be reviewed prior to purchase or copying. In order to review records an appointment must be made by first contacting 602-223-2345. Please leave a message with your name, a contact number and the invoice number. When payment is received by PRU, in the form of a credit card, cashier’s check, money order or business check, the records will be released to the requestor. No personal checks are accepted. Credit cards are only accepted at the front desk. In person - at the Arizona Department of Public Safety, Public Service Center, 2222 West Encanto Blvd., Phoenix, AZ 85009. Please note: You will receive an invoice in the mail when your request is complete. Please do not come to pick up your requested items unless previously arranged. Personal checks are not accepted. Acceptable forms of payment are credit card, cashier checks, money orders or business checks. Credit cards are only accepted at the front desk. 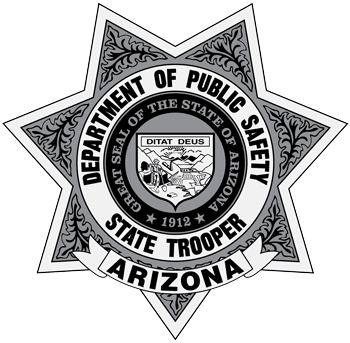 Note: To obtain collision reports, photographs or citations/warnings/repair orders, contact the DPS Department Records Unit.